RED Digital Cinema announced the EPIC-M Monochrome a few weeks ago. Two days ago, the first footage shot on it was posted on REDUSER.net by Jarred Land. It’s a video for WOLF Magazine by Steven Sebring shot at Pier 59 Studios. Very nice pictures. $42,000 ( brain only ) includes upgrade to Dragon Monochrome Sensor spring 2013. Just stumbled over this new dolly system. It’s called Polly. It’s obviously that the name is a mix of the words “portable” and “dolly”. Polly is intended for filmmakers who like to work with compact camera systems like DSLRs. It’s design is very small and compact, so it would fit in a bag or similar. 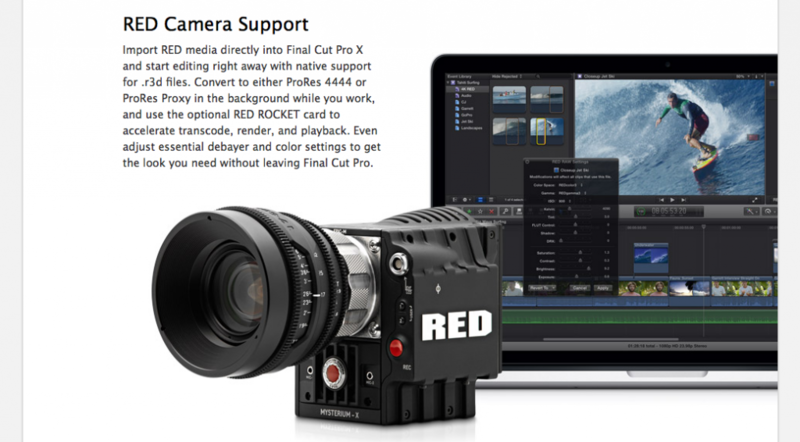 Get your RED EPIC-X. Stage 4 has just arrived. This means, everyone (not just RED ONE owners) who’s got the money can now deposit 10% of the price for an EPIC-X. Existing RED ONE customers have been the only group eligible to purchase EPIC-X via the Stage 2, 3, and 3.5 programs. That is, until now. Stage 4 is now open for all customers to purchase the most advanced DSMC® camera in the world. Capable of capturing 5K resolution at up to 120fps, EPIC-X has been responsible for breathtaking images both at the newsstand and on the big screen. From fashion spreads to feature films, the versatility of our DSMC® camera system allows you to compromise nothing and shoot everything – all with one camera. Purchase a Canon or PL mount alongside an arsenal of accessories to customize your perfect camera configuration. EPIC-X is now available on RED.com for $27,500 (brain only) or $31,000 when packaged with a Ti PL Mount and Side SSD Module. Don’t forget that both SCARLET and EPIC will experience a price increase January 1, 2012, so be sure to reserve now to lock in 2011 pricing. For those interested in protecting their purchase, our RED ARMOR extended warranty program is available for both EPIC-X and SCARLET-X cameras. RED ARMOR provides an additional two years of protection, shielding your purchase for a total of three years.